Art contest for Ix the Interloper! It’s time for phase 2 of the Design-Your-Naut 2 contest! 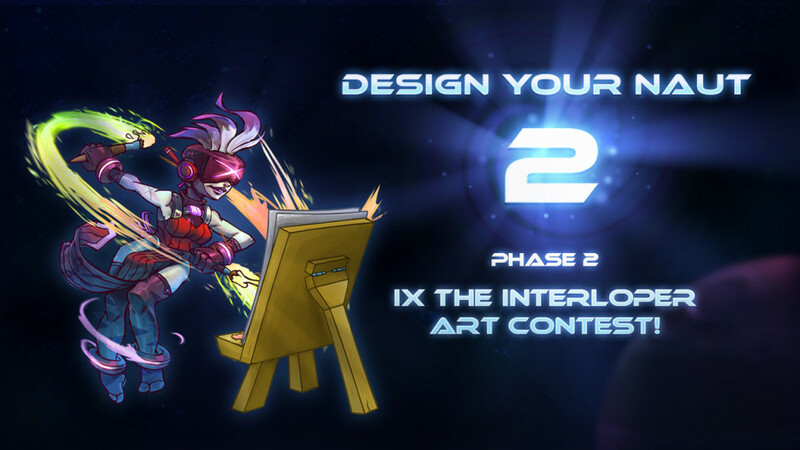 In this phase, we are looking for your ideas on how to visualize the winner of phase one: Ix the Interloper! You can submit your ideas here! You can use whatever medium you can muster (even bake a pie) as long as it results in a single image file. The contest is open until Tuesday, November 3rd, Midnight Pacific time. Once all the submissions are in, we will pick the five finalists. These will all receive a cool t-shirt and custom icon in-game. These five finalists will then all be put up for a vote to determine the final winner! The winners’ idea will be recreated ingame, and the winner will also receive an Awesome Clunk statue! Time to get creative, and show us your awesome ideas!